Did you know....When you attend PTA meetings held at your school, you show your child that you care about what happens during the school day. Your attendance shows that you want to be involved in the decisions that are made. In fact, it is only as a member who attends these meetings on a regular basis that you can make a difference through your input. As a result of your attendance, you will become familiar with the teachers at the school, have better access to volunteer positions, and be able to provide suggestions that can benefit the students as a whole. So don't wait, join the Valencia Elementary PTA now! Click below to join! What programs does the PTA pay for at Valencia? 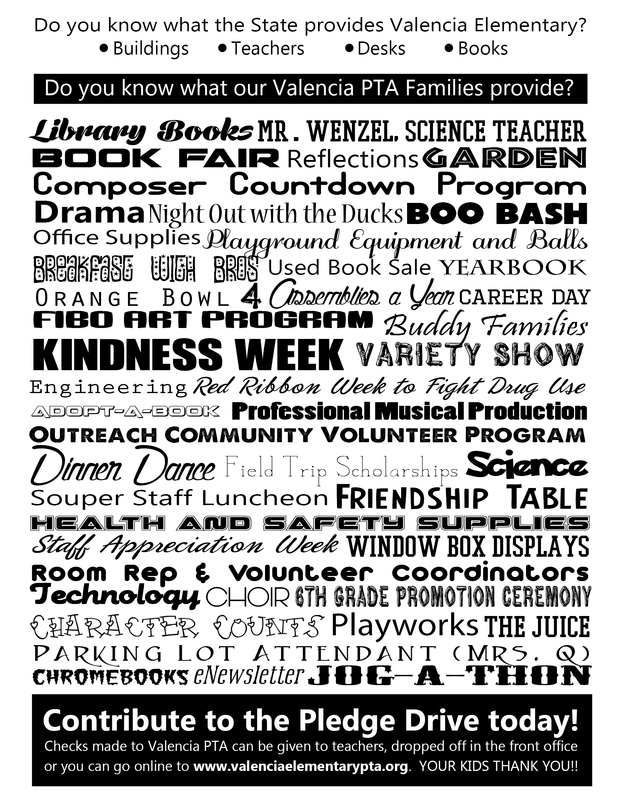 The Valencia PTA raises over $200,000 a year to pay for everything from Art, Music, Engineering, Technology, Safety and Drama to a Parking Lot Attendant, Science, Music and more! 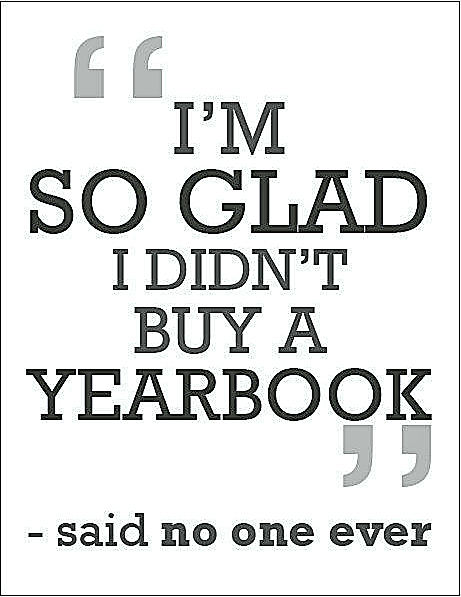 Valencia Year Books are available only through this website and are on sale now! Sign up to be paired with an ambassador in our Buddy Program! One of the most important roles of California State PTA is to create and support laws that improve the lives of all California children. Find out more here. In the spirit of safety, the Saddleback Valley Unified School District requires that all volunteers who have limited contact with students must have a completed Volunteer Form A and Volunteer Form B on file. This requirement needs to be honored each year. Simply complete the volunteer form, and return to the front office with a copy of a valid picture ID (CA driver’s license or passport). A proof of freedom from TB is recommended but not required. Thank you for helping our school run efficiently.